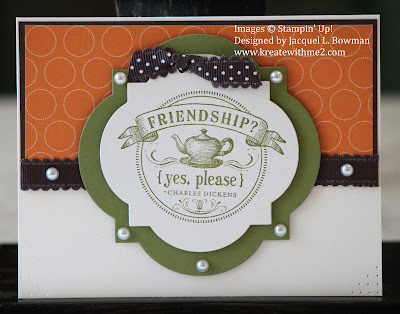 Good Monday Morning Stamping Friends! I hope you all had a wonderful weekend....mine was awesome as usual. I just love spending quality time with my family!!!! 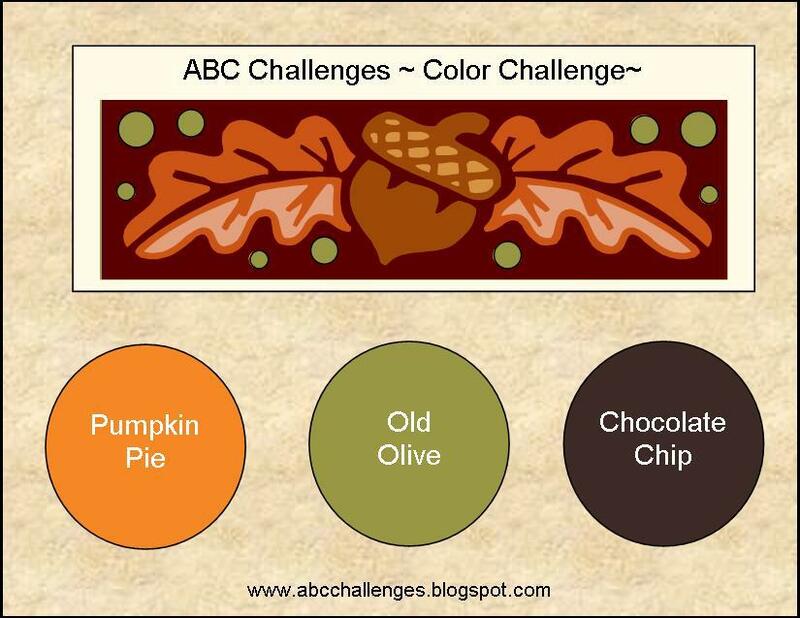 This week, the ABC Challenge team has a color challenge for you to play with & as you can see from my card posted above; I chose to keep it simple. The only thing I added was the paper piercing & pearls to finish off my design. ENJOY & please click here to see the rest of the team's work! After you've been inspired to make your card; you'll have until Sunday; November 25, 2012 @ noon EST to post it to our blog. Thanks so much for stopping by & have a great rest of the day! I like this simple design and how you pierced the corners. Very pretty colors for this challenge. Fabulous design! I love the stamp and papers you used. Oh, I could just pet those die cuts! Love them!!! Perfect stamped image for them too. I love your cards, they just turn out simply beautiful. Jackie, love these colors together! That is such a sweet stamped image, too! Very pretty! Jackie, I love your style. I love the frames you use and the colour combos. Another gorgeous card!!! What a great card! I really like fall colors :) I love the new shapes from Stampin' Up too! Very lovely, Jackie! That is a great image and I love the design you created for it. Gosh, I missed this one. Beautiful work combining the challenge's colors. Love all the white space. Jackie, you used the colors beautifully! I love the pearls! !